I make money online and in this post, I want to share with you my three top ways I make money blogging. Blogging is just a way to create a marketplace. Once you’ve built a community of active readers, it will be quite easy to monetize and see results. First, I won’t recommend you jump into making money if you are just starting a blog. You may not get any reasonable results and this may lead to discouragement and abandonment. The first thing every newbie blogger should do is focus on building flourishing community. Your community is your market and I want to underline the word flourishing. There is no successful blogger with a thriving community. That’s what makes the excitement. So before you start thinking of your firs $1000 as a blogger, make sure you are getting targeted traffic and engaging readers. That’s what I get on my blog. I see the results so I decided to share with you some of the things I do to get this income coming. There is a disease around that makes people think banner advertiser is dead. This sickness called Banner Blindness has made some bloggers to completely ignore banners. But the truth is, out of every 10 sites you visit, you are still going to see some banner advertising elements. If it no longer works, people won’t keep investing in it. Erik for instance is making money with this blog through BuySellAds (BSA). That may not be your case because getting approved by them is like hitting a hard rock. To make things more difficult, once your application is rejected, they won’t even tell you where you are wrong. I have sold banners in the past, managing everything by myself through a plugin. But this time, I decided I was going to use a platform so as to raise my chances of being located by many more advertisers. The rejection by BSA got me surprised but not discouraged. After a few keystrokes in Google, I found over five ad networks and decided to go with PC. My friend here, Erik is doing well with BSA but if you want something quick, give PC a try. This is what makes blogging even more exciting. Everyone with a blog can do affiliate marketing and see results. Though this is not as simple and easy as it used to be, Affiliate Marketing is still a flourishing business. You don’t need any investment. 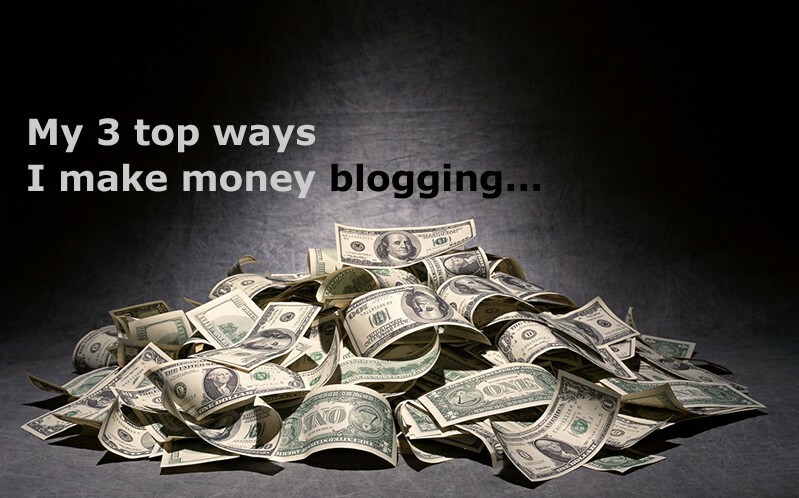 If you have a blog already, what you need is promote targeted affiliate products, generate sales and earn commissions. I wrote an ebook Affiliate Marketing For Bloggers where I share my working methods and steps taken by other successful bloggers to make real money with Affiliate Marketing. Make sure you promote products that are targeted to your niche. Don’t try to sell anything because your cousin or grand ma is the author. Focus more on products that pay recurring commission. That way, you are sure of a steady source of passive income. Get a copy of the product you want to promote and use it. There are different ways to get a copy: Generally, you may buy or ask for review copy from owner. Once you’ve used it and gotten some results, share those results with your audience. Man has been programmed to copy things that are working for others. Therefore, if your readers see something working great for you, chances are high for them to buy that same stuff. Finally, teach them how to use that product and get the same results. These tutorial posts are the triggers. If people don’t make the buying decision after reading your results, a majority will do after you teach them how to get your results. There is nothing as rewarding as selling your own products but I know some folks are going to complain about this. The truth is, creating and selling your own products is even more complicated but the income is a huge compensation. Product creators have to deal with a lot of other things that eat up time and money. These are things like updates, upgrades, maintenance, shipping, customer service, etc. As an affiliate, you are never going to deal with all these. But the truth is, once you’ve created a product that’s a big success, you will make more money than any affiliate and that income will help you handle any extra responsibilities. In the past, I have created different products for bloggers and these all summed up are making the greatest share of my income online. And as a serial entrepreneur, each time I sell any of these products, my income doubles. What if I can’t create a product Enstine? I saw that question coming and I’m ready to answer! I know I have worked hard, developed my skills so I can create digital products any time without hiring or outsourcing part of the job. But I still have that strong believe that anyone else can create a product. Even if you are just from under a bridge and you know absolutely nothing, you can still create a successful product. So it is no excuse that you can’t create a product. If you ain’t able to do it yourself and you feel PLR products are all crap, there are thousands of talented freelance developers and writers in any industry. You can fine them on Freelancer, Upwork, etc. All you should do is put up your thinking cap and come up with a hot product idea. It could be an ebook or software. Digital products are doing well now so you won’t be wrong creating one. Once you’ve brainstormed and arrived at something, you should hire talents from these job boards and before you know it, you are a product owner. Those are the three main ways I make money blogging. I know many of you use Adsense and other methods. I want you to share with us in the comment what’s working for you and how we can benefit from your experience. 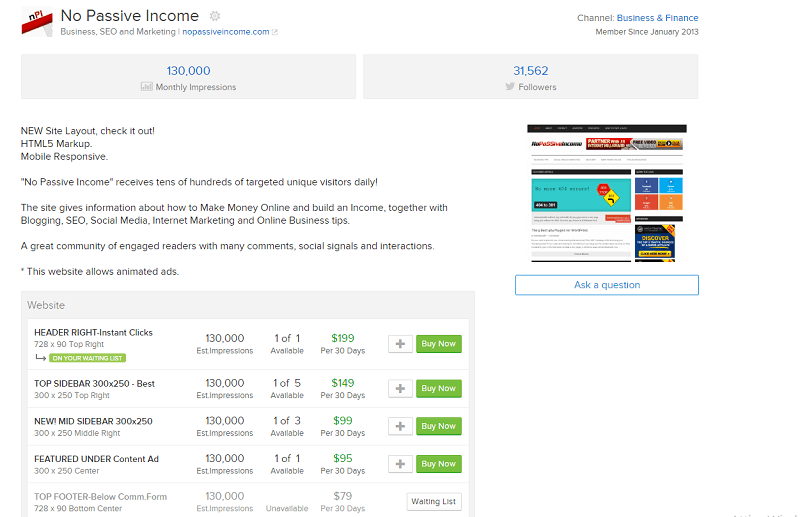 Nice to have you on NoPassiveIncome, one of the best blog I do read any time am free. NoPassiveIncome is not the magnet that draws me here but the big name ERIK. Hmm, following this boss from day 1 has never been a mistake. I love reading his post, am glad you travelled all the way down here to teach us how to make the passive income with examples. You nailed it well, but non of the ways is easy to say. I grabbed the introduction part of the post. It made my day – the desire to make money fast online has killed many bloggers talent. I visit some blogs and discovered it has been throwned into the bin after some weeks. This normally arise when the owner witnessed one or two failures trying to figure out how to make some bucks. We need to build a flourishing blog first – I admit this. This is one reason I visits Adrienne Smith’s blog – she is unselfish when it comes to teaching how to grow a blogging community that scales. Thanks for this post and do have a nice day!.. Thank you for the comment and encouraging words bro. First, I’m so glad Erik allowed me here today as a guest author. I’m sure to be here again to share my knowledge with his community. You are correct! Making money with your blog is hard but once you’ve laid a solid foundation, things will start falling in place. Adrienne has been the star of many but unfortunately, she has quit blogging. Hope you stick to Erik here because he’s not different from Adrienne in terms of quality. Thanks for making sure we continue the discussion over at my blog bro. Thanks Enstine for contributing such an interesting post. You are real and you share what is really working for you. This way, people reading this article can take inspiration and with the proper work, make money blogging using your insights. I just read Adrienne’s last post on her blog, such a shame she decided to quit blogging. I hope she’ll be back soon. Thanks for giving me this opportunity to interact with your readers. I’m so excited about it. Well, I don’t think she will be coming back. She might decide to, though but it’s said she left. whatever the case, blogging continues to thrive. I saw so many great bloggers leaving during these years. It’s not the case of Adrienne, but I think most of the times people are attracted to the shimmering of making “easy money online”, and then quit months, or even just weeks later, when they found out this actually requires real work and dedication. If I could go back in time, I’d buy certain products (like yours) to show me the right way to follow. Or, I would also hire a professional blogger to teach me the right path. I’m struggling to make money with my blog. Thanks for sharing this information, Enstine. I hope to start earning some cash soon. Do you have some tips to get more visitors? Just do the right things and be patient, knowing it will work for you too. I’m dedicated to make money with my blog and starting to earn something in the last time. I hope to make a full time income soon. Good luck to you bro. Thanks for the positive feedback, Shathyan. Ok, you create a product. How can you sell it? I recently made a blog and want to outreach companies for paid posts. How can I reach to them. I still have to test it myself, but I’ve read many positive reviews. I just signed up and exploring. thanks for suggesting this tool. Will you please share your private list of tools ? Thanks for the Recommendation, what a great post. That’s right, Enstine wrote a great post here! Thanks for the visit and positive feedback, Ali. Thanks Erik , I am new in the blog world and just started to sharing blog, but yet I didn’t try for Adsence . Ones I got active user will surely try your 3 Idea. Really great Idea you share with us thank you. Thanks for the positive feedback, Damian. Enstine shared some interesting tips! Glad to see you here on Erik’s blog. These three are the most common yet effective ways to make money via blog. 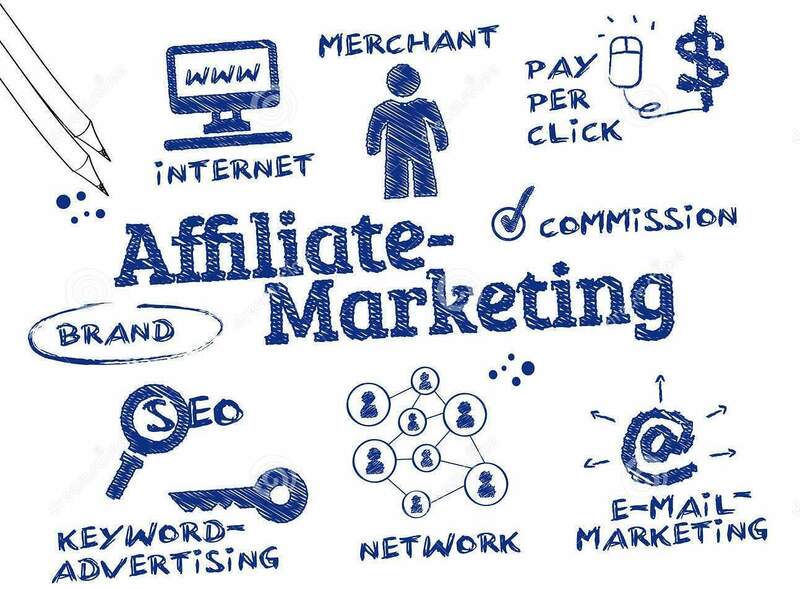 My personal favorite is Affiliate Marketing, I am trying my hands in affiliate marketing from few amazon based affiliate sites and I am in love with Affiliate Marketing. Thanks for contributing such an interesting post. building niche sites and monetizing them with Amazon affiliate program is one of my favorite ways to make money online. What tool are you using to find profitable keywords? I am using LongTailPro for findind profitable keywords from last one year and before that I was using Google Adwords Tool. I also have few niche sites that I am monetizing with amazon affiliate and started one niche site for amazon.in last month. Let’s see how much ROI it gives. I’m using LongTailPRO too, Kuldeep. LTP is undoubtedly an awesome tool. Sorry but can’t share the share the details about site. 2 of my sites are on fitness niche, 1 on gardening and 1 is on driving accessories niche. Just sold one on flippa. Thanks for sharing that experience and good to know that you are loving the Amazon program. Just scale it and make more of that money. Thanks for sharing your top money making methods with us. For me, it is affiliate marketing and Google Adsense but I have been trying to diversify my income sources even more. However, for now, these two money making methods are working great for me. I’ve multiple sources of income, all different, in a way to diversify and minimize risks. Affiliate marketing is one of my favorite methods to produce income. It’s good to diversify as that gives you more security. Also scale up what’s working already for more income. Great post! I’ve been more successful with affiliate marketing thus far. The strategy I used was paid advertising more so than blogging though. These are three great strategies and I can imagine how much of a challenge creating and marketing your product is, but as you mention it’s very possible. I would start off with creating an ebook first then go from there. Thanks for sharing! Have a good one! I’m working on my product too, Sherman. It takes time, but it will be ready soon. I created my first eBook 6 months later I started blogging, in 2010. I remember my first step into Affiliate Marketing in 2009 😉 I promoted a clickbank product through Google Adword and made my first $33.33 commission. That was excited. But since starting with blogging in 2012, I have not done paid promotions. My blogs have been doing well driving free traffic. I’m planning to do some social PPC on Facebook to see what it gives. Good to hear you are coming up with your ebook. How soon is that coming up? Nice to see you here on Erik’s place. When it comes to monetizing our blogs, I have to say that I like to create my own products the best! Indeed, it IS a lot of work involved, but in the long run it does pay off so well. Also, when creating our own products, we can also link to affiliates that we use. Whatever we create, we do use tools and if we are affiliates of those tools, we can link them right there. Thanks for coming over to interact. I’m glad Erik opened up and allowed me share my working methods with his audience. You mentioned a great point there and I use that a lot in my products. My current book has generated some affiliate sales from affiliate links in it. That’s shooting two birds with one stone and I like it. I really missed this post, today I am here via Enstine’s facebook notification. Enstine did a wonderful job by sharing his money making secrets! I am sure this will be a good guide for many newbies in this field. Thanks, Enstine for this wonderful and useful share.